34 videos clips with audio, video, installations and performances by Brechje van der marel, Jan Duivenvoorden, Pierre Sondeijker, Charlie Watkins, etcetera, Electric Faeces of Den Haag, SWM, Shitcluster, Geradio Tonkium, Perfect Defect, Unit Moebius, Nimoy, Light Speed Drivers, IMP Electronics for Defence, Britney Spears, Whitney Houston, DJ Washing Machine, etcetera, etcetera. The VCD was made around 2003 (?) in an effort to summarize our activities and satisfy potential organizers. Lost and found: this Nimoy video clip. Video CD – compilation of exhibitions, performances, installations, movies, music and mor (2003). Loop pop by Nimoy, moving images by blosje. 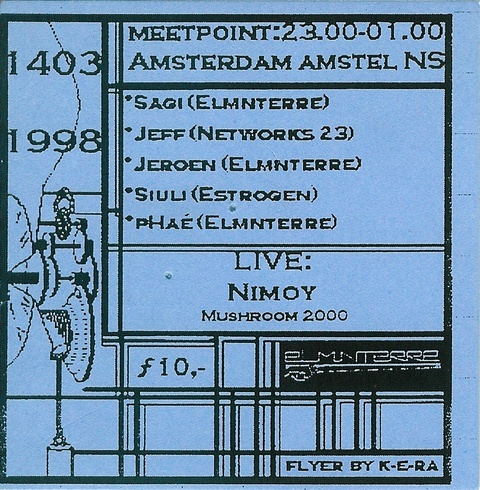 Playing live as Nimoy instead (not Unit Moebius, because the band had officially ceased to exist). 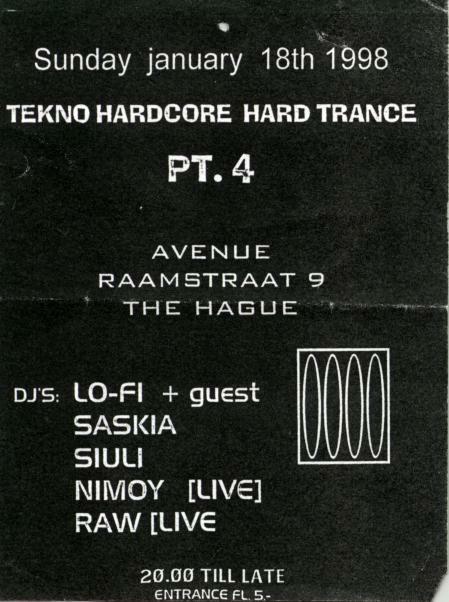 Selling unlabeled audio cassettes at techno parties was a common thing to do in the nineties. I had bought an ancient cassette copy machine to be able to deliver on demand. It took 3 minutes to complete a C60 copy, both sides at once. 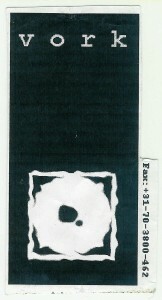 Ferro tapes survived the copy process more often, but sounded like mud through fog. Exactly enough tapes were sold to make up for train fares, beers and the price of the tape machine.